Building muscle, strength, speed and explosive power while keeping your diet under control is one of the most challenging and rewarding lifestyles you can pursue. That doesn’t mean you can’t use all the tools at your disposal, and supplements and training programs fall squarely into the category of tools. Food, training and sleep are the most important aspects of this game, and supplements can add between 5 and 10% to your progress. And a good training program is invaluable. We’ve written this article to tell you about the products we think are the current leaders in their categories. Achieving your goals may have just gotten that little bit easier. When professional boxers and MMA fighters have to hit their weight class for a competition, they have to cut the fat pretty quickly, without losing the muscle mass they have built in the off season. It’s probably the toughest part of any weight category sport, and we’ve seen some of them weigh in to be told they haven’t made the cut in time. We’ve even seen fighters taking clothes off to get a few grams taken off the reading. One thing is for sure, they don’t do it all by themselves – they need a team of support including trainers, coaches, nutritionalists, dieticians and loved ones to help them through. Most of the cut is about food, a lot’s down to training, and some is due to supplements like fat burners and appetite suppressants. 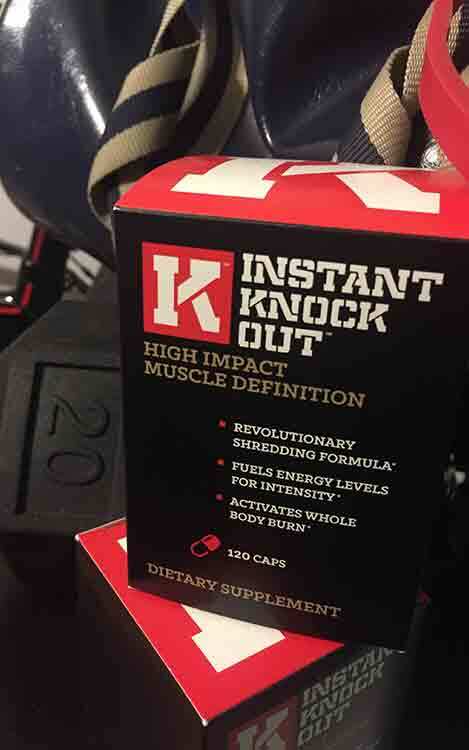 Instant Knockout is that type of weight loss pill: a fat burner and appetite suppressant rolled into one. The company that makes IK tells us that the formula started out in fighting circles, it was something the pros found useful when it came to the cut, possibly the toughest aspect of their training season. Take a moment to think about what you want out of a pre-workout drink. Is muscle endurance important? Do you want a skin splitting pump? Do you like feeling a zen-like mind-muscle connection? Of course, it’s a hard yes to all of those questions, and all the ones we didn’t ask. Ultimately, you want a pre-workout to send you directly into “the zone” without passing GO. For us, as analysts of this sort of supplement, the things you need the most are a direct source of performance enhancers in the form of various nutrients, vitamins and other ingredients; and you need a transport mechanism to get said performance enhancers to the muscles, and fast. 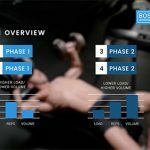 Once you’ve got your muscle pump on, you need great ingredients to add to the additional oxygen you are now shuttling to the working muscle tissue. We’re not really talking about creatine here, you should be taking that everyday anyway, allowing it to accumulate and saturate your cells. Creatine’s effect is not something that is dependent on timing (although pre-workouts tend to contain some). No, we’re talking about energy boosters, anti-fatigue agents, electrolytes, special fatty-acids, nootropics and nitrates. In our opinion, the current best pre-workout supplement, which satisfies all of the above requirements is 4 Gauge. 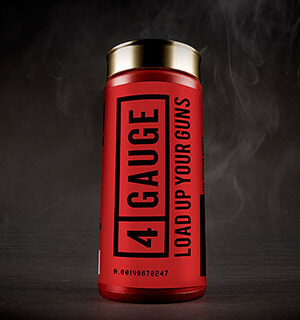 4Gauge contains great ingredients, like Citrulline Di-Malate, Red Beet exctract, Rhodiola rosea, ALCAR and a Caffeine-L-Theanine combo, but it’s the inclusion rates/dosages that make it so effective. There’re only two things that matter when you formulate a supplement: ingredient selection, and dosage. 4Gauge gets them both spot on. Quality, effective testosterone boosters are rare. Partly because there haven’t been that many ingredients found to significantly increase a person’s testosterone levels, and even less that can boost it in healthy, resistance-trained men. A lot of the research has involved infertile men or men with low testosterone levels, and so it’s difficult to extrapolate any results to men who have normal levels but want to increase them for bodybuilding or sports performance. That’s part of it. The other reason is that current supplement manufacturers have a tendency of putting unproven compounds, or compounds which only have preliminary supporting evidence (like in vitro studies), in their products. They do this for marketing reasons – unheard-of exotic-sounding herbs draw the intrigue of potential buyers – keeping the industry moving instead of always putting the same old ingredients in. Sometimes however, and it’s definitely the case with testosterone ingredients, the old reliable ones are best. Basically, you need some ingredients to support your testosterone production for normal healthy function (examples include Zinc, Magnesium, Vitamin D3), and then you need to add those ingredients which elevate the hormone (e.g Boron, D-AA, Mucuna Pruriens). 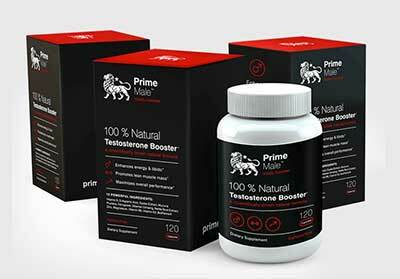 The most effective product we have found for this is Prime Male, a testosterone supplement by Propura Ltd.
Prime Male contains all the right ingredients at excellent inclusion rates, from those that get to work in the first couple of hours, to those that build up and support your test levels over the long-term. Men who work out regularly, and those in their 40s, 50s and beyond are particularly likely to benefit from Prime Male. Workout programs are a good idea for every level of strength athlete, from the casual gym member to the gram measuring professional. For some people, a program is the difference between success and failure in their goals. For most people a good workout program adds huge dollops of efficiency to their schedule as a whole. And for everyone, a good workout program will help significantly in achieving a time effective physical transformation. Programs add the element of measurability, so that you can track targets and goals, weights and fitness levels, body mass and biometrics. They are key to your visualization of progress and, ultimately, success. They cut out all wasted time, and they promote balance, synergy and symmetry in your physique, health and wellness. The best programs will even take it further and help you with your nutrition, supplements and diet needs, and the ultimate programs will be malleable to your individual needs. If you’ve read all of the above and STILL don’t think you need, or will benefit from, a workout program, we can’t help you. However, if you are interested, we’ve found the best professional grade, portable, high definition video, future-proof workout programs available. 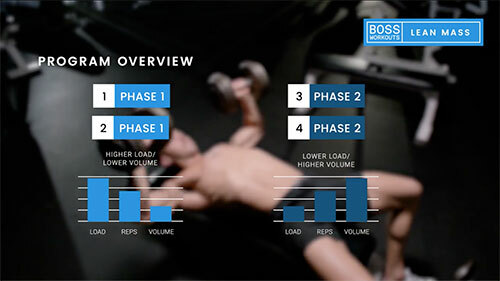 We’ve taken 2 of their workout programs for a spin – Boss Lean Mass and Boss Shred. You can read them by following the links below.